Texas information. A guide for the pages contained in the Texas section at Dancing Cowgirl Design. 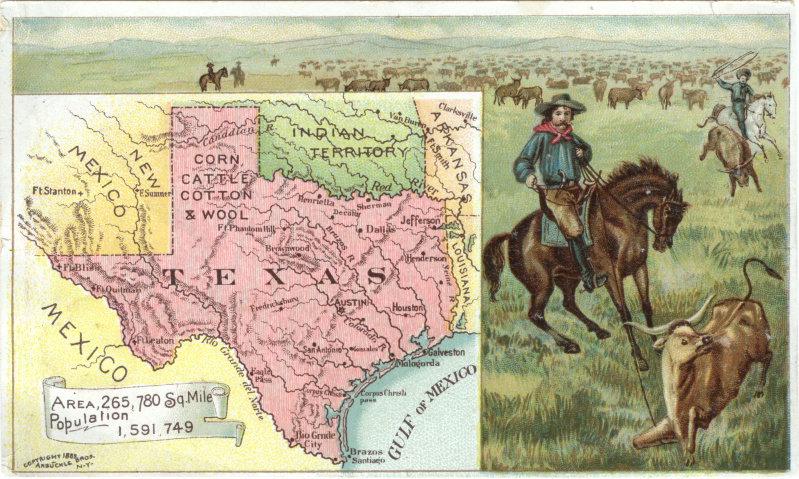 Articles about Texas life, Texas home decor and Texas gifts. Texas coloring pages. I am one proud Texan. I was born in Texas and have lived here all of my life and I promise you that has been a long time. Over a half century of living, loving and learning about our great state brings me here to share some of that with you. This is a guide to my pages about Texas. Along with articles about Texas from my view, you can also find my Texas designs on home decor and gift items. In case you are wondering about the "Don't Mess With Texas Slogan" you can read about it and see videos from current and vintage commercials. When your in Texas, you gotta dance like the Texans. Learn the Texas Two Step and give it a try. Go - Texan Day is a Houston tradition. Learn more about it here and get some western and rodeo coloring pages and activity sheets. What are you wearing to the Homecoming Game? Check out the neckties that I designed to look like Homecoming Mums. I have a few pages dedicated to these beautiful animals. One story is about how I raise an orphan deer and includes some helpful information should you find yourself in that situation. 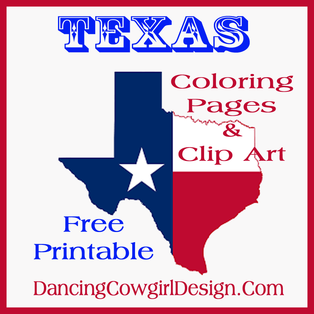 Grab some of my free Texas Themed Coloring Pages. Find some good looking Texas Christmas decorations and ornaments to add a touch of Texas to your holidays. My Texas designs featured on throw pillows. Have a look. Calling all crafters and quilters. Create some beautiful projects out of my Texas Print Fabrics. Unique T-shirts and Tops with Texas themed designs.